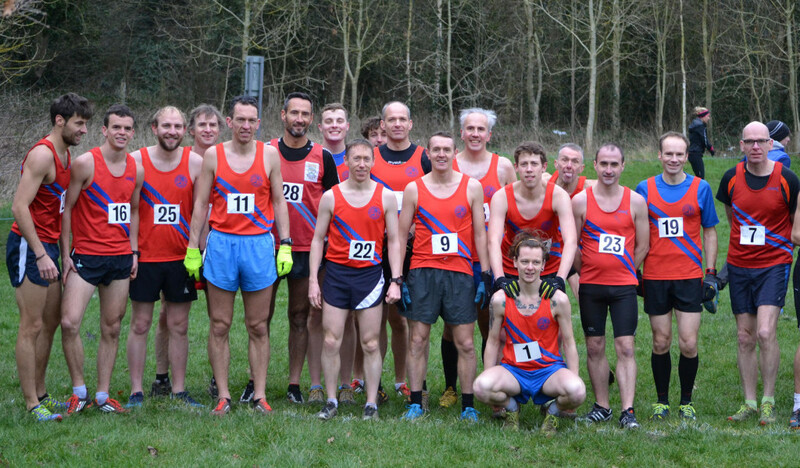 B&R men’s Cross Country team travelled to Wolverhampton’s Aldersley Stadium on Saturday 13 February 2016 knowing that they would need a good performance to stay in the Division. Lying just one position above the drop zone in 13th out of 16 teams, with 3 to be relegated and with the strong home team of Wolverhampton & Bilston just below it was going to be a tough ask. An impressive 19 Runners turned up for the final fixture, including a rare appearance by veteran campaigner Paul Collins who has previous experience of staying up. Once again, Club Talisman TJ Smith was first man back with another excellent run finishing 16th. He was followed by another solid performance by Simon Lanckham in 45th and Adam Peacock, recovering from injury in 48th. This gave the team a score of 462 points and a position of 10th on the day. As predicted, Wolverhampton & Bilston fielded a large, strong team, finishing 5th on the day, moving up to 10th in the series but B&R managed to leapfrog Halesowen, Rugby & Northampton and Warwick University to finish a creditable 11th overall and ensure First Division Cross Country next year. Loughborough University won the league with Staffordshire Moorlands, Telford AC and Warwick University relegated.